Think about this, there are more than 1 billion active users on Instagram and more than 500,000 businesses already engaging with them. What would Instagram success look like if you were able to engage with only a fraction of these users? So if you are not on Instagram, you should make an account right now! Here are the metrics to follow to measure your Instagram success. And in our case, there’s inspiration to be captured (photography/design) from everything we see. We just have to look for it! 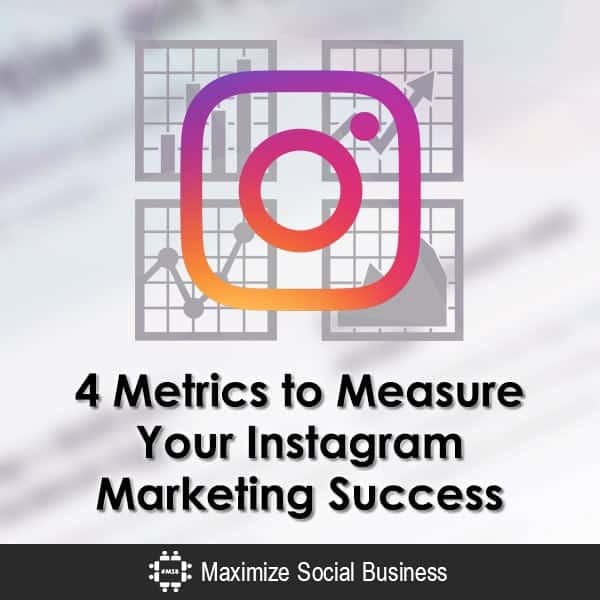 But let’s get back to our main topic, how to measure our Instagram marketing success. You need to track the content you post and look at the right metrics and results. And this depends on your strategy. 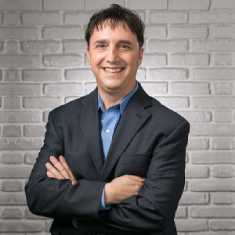 I will show you how to measure your engagement, brand awareness, traffic or mentions on Instagram. One of the most important metrics a social media manager should look at is engagement. If you don’t have enough engagement on your Instagram posts it means you’re doing something wrong or your content is not relevant for your audience. I’m the kind of marketer who analyzes almost every Sponsored Ad he sees on Instagram and I love to observe the engagement they have. So where should you look when you want to measure your engagement and Instagram success? Firstly, the most important thing in engagement is finding out how many people are connecting with you on Instagram. It means you need to see how many followers leave comments on your posts. For example, if you want to test and see how many of them are really following your Instagram photos and videos. Ask them something in your description. Let them know you’re interested in their opinion. And in this case, to see how many of them engage with your content. The other factor to consider in measuring engagement is your direct messages. This feature from Instagram is one of the best ways to connect with your followers and make them feel you care about them. For example, let’s say you’re using Instagram Stories and you see how many of them (followers) are watching it. Now create a call-to-action post to ask them to send you their questions via DM. In this case, reply with a video on Instagram Stories with your answer and also see how many engaged with you with this tactic. Or if you are interested in growing your engagement on Instagram you should use one of these tactics Neil Patel showcased on this infographic. I personally recommend you to start posting regularly and timely content. Call it whatever you want, brand awareness or simply awareness, but this is one of the metrics to look to see if you’re doing a good job on Instagram. I’m not a big believer that awareness is something important we need to measure for our success, but I believe we all need awareness for our brand. I think it’s important to know where to look if we want to measure our brand’s awareness on this platform. The most popular metric are your number of followers. I saw many brands that use this metric in their social media strategy. And that’s good, but it’s not the only point we need to take into consideration for measuring our brand awareness. The second most important metric is a post’s likes (photo or video). How many of your followers like your content? Maybe you would’ve expected this part in the engagement chapter. But if somebody likes my post, it doesn’t mean that he’s really engaging with me. The “Like” button in social media is only a simple factor of measuring your brand awareness. If in the beginning, the “Like” metric was something Facebook promoted, today we can see “Reactions” are another factor the big blue wants to analyze. And I believe, on Instagram, the number of “likes” on a post is just another metric to calculate your brand awareness measurement. The third metric we should look at more often for Instagram success is the views on Instagram Stories (who is watching our Instagram Stories). Why? Because there are hundreds of millions of active users who use Instagram Stories consistently. 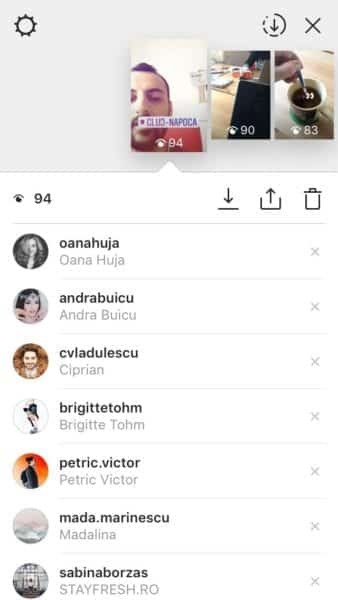 Looking at the numbers of views on Instagram Stories lets you know how many of your followers are interested in this type of content. And more, it’s something that can help you see how many followers may reply if you want to engage them through direct message. I’ve heard many brands and bloggers say that Instagram is one of the top 3 social media sites to bring in website traffic. There’s only one place where you can use a link on Instagram. This is on your profile page at the description of your bio. 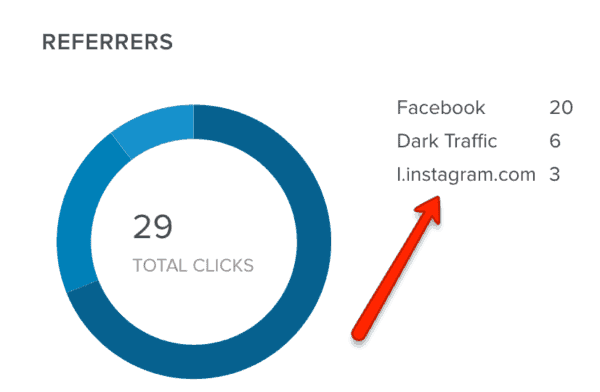 How do you see how much traffic your Instagram account brings? Use Google Analytics. Go to your analytics account, select Acquisition -> Social -> Overview and you can see your top social networks sources that bring you the most traffic. Another way to measure how many people clicked on your Instagram link is to create a bit.ly link and insert it on your profile. With bit.ly you can easily see how many of your followers clicked on your website from your bio. 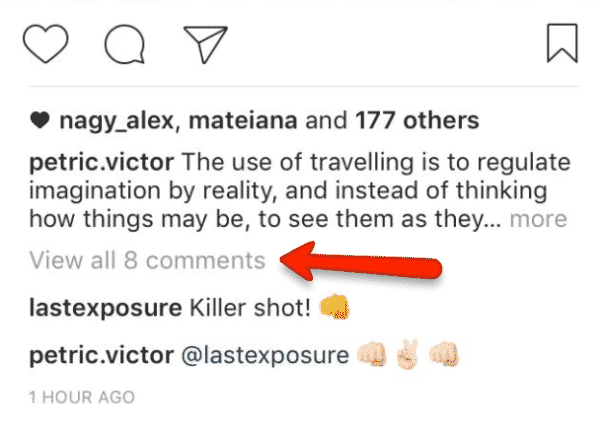 How can you bring traffic to your website/blog through Instagram? There are many strategies and ideas. But maybe the easiest one is to create a visual related to your blog post. Let your community know in the description you just finished a blog post and ask them to click the link in bio. For example, CMI uploaded a photo with a strong CTA in their image announcing their next conference with $100 discount – Intelligent Content Conference. I’ve seen many marketers, bloggers, and even brands do this, and it’s just pointless. Another metric to measure for Instagram success are the mentions. Maybe you wanted to include this in brand awareness or engagement, but I wanted to differentiate because I believe mentions are an important measurement in your Instagram strategy success. The word of mouth is still the best marketing tactic to use for Instagram success. If you want your brand to get more engagement, awareness or website traffic with Instagram, consider this metric as one of your top strategies. How many of your followers use the tag option in their posts when they post something related to your brand? For example, Red Bull and GoPro are doing a great job using UGC (User Generated Content) in their editorial posts on Instagram. Their followers see the are other people who use these brands. They connect each other and want to get published on these brands profiles. Instagram is doing a great job with their on going project called weekly hashtag project (WHP). They’re challenging Instagram users to post something creative during the weekend. And then they curate those posts and choose a few of them to showcase at the beginning of the next week. How can you measure your mentions for Instagram success? See how many of your followers tag your brand on your post. Show them at your profile, so your community can see who is tagging your brand. The other strategy is to launch a hashtag and see who uses that hashtag. Post regularly with that hashtag and let them know about it. They can connect with each other using the hashtag and from time to time showcase them on your profile. In 2021, the spending on digital advertising will almost double reaching $322,199 million. The social media ecosystem will have a lot to say about it. So this is the moment when a brand should start investing more attention and focus more on their social media strategy. Instagram is about creating great content that engages with a community so they talk about your brand. So here you go, these are the 4 metrics you should use to measure your Instagram success. Measure all of them or choose which one suits your brand. But this only depends on your social media strategy. Let me know in the comment section, if you use other metrics to measure your Instagram success and how you do it. One more metric to consider is the number of your followers. This can be consider a metric for mouth-to-mouth marketing, where your actual followers spread the word with their friends about your content.